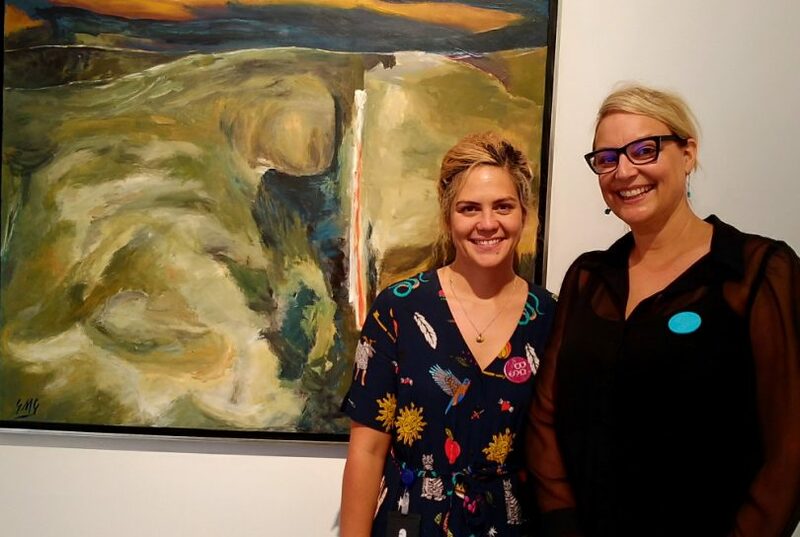 Creative Arts officer Elizabeth McCrystal (left) with Coordinator Creative Arts Development Indira Carmichael in front of work by Shirley Goodhew. 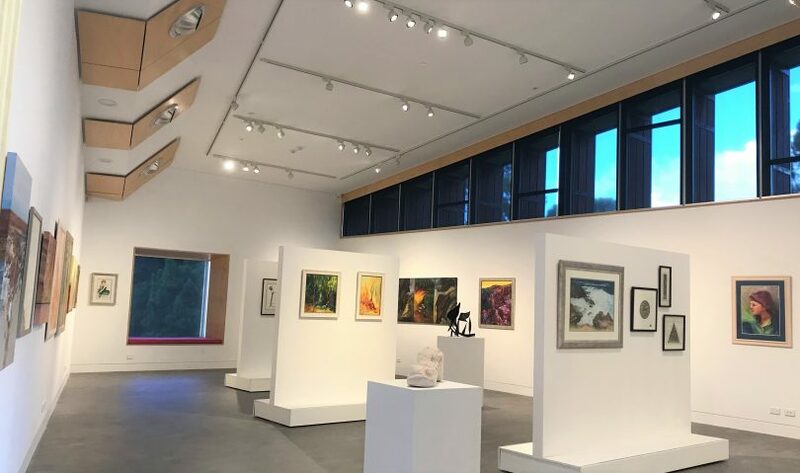 The newly opened Basil Sellers Exhibition Centre at Moruya, AKA The Bas, is now seeking expressions of interest from artists looking to exhibit in 2020. 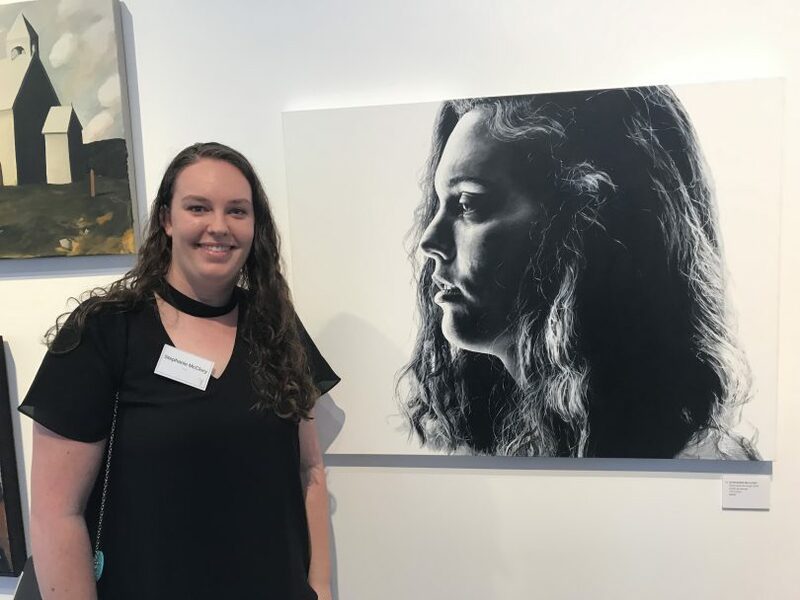 Eurobodalla Shire Council’s Arts Coordinator Indi Carmichael said new exhibitions at The Bas were programmed in monthly time slots. “There are 12 slots all up, with each show running for three to four weeks,” she said. Ms Carmichael said Expressions of Interest (EOI) could come from solo artists, group exhibitors, or shows by organisations and institutions. “The Bas is all about celebrating local and national creative art and contemporary culture,” she said. Ms Carmichael said highlights for 2020 included the return of the Basil Sellers Art Prize. “We’ll also have a solo show presented by this year’s Eurobodalla Art Prize winner Stephanie McClory, what a treat! We have touring shows planned, returning favourites such as River of Art, installations, 3-D works, and so much more,” she said. This year’s Eurobodalla Art Prize winner Stephanie McClory will have a solo show at The Bas this year. Ms Carmichael reminded the public that Shirley Goodhew’s mixed-media solo exhibition Deep Waters is currently running at the Bas until Sunday, April 14. “Shirley will be in residence at The Bas this Saturday (April 13), where gallery visitors can watch her work and ask questions about her exhibition and practice,” Ms Carmichael said. Exhibitions are selected by Council’s creative arts team. Submissions for 2020 exhibitions close at 4 pm on Friday, May 10, 2019. The Bas Exhibition Centre at Moruya.